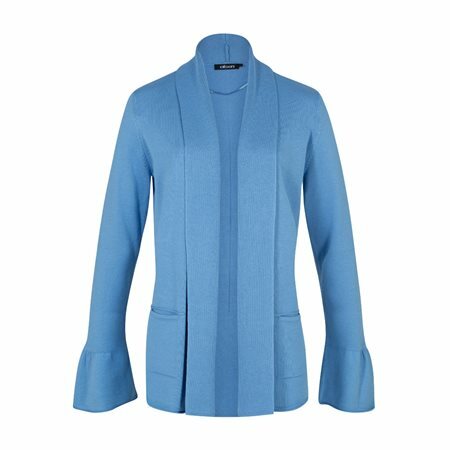 Special feature of this cardigan in straight cut are the small trumpet sleeves. The shawl collar and the knitted pockets are further fashionable details that give the cardigan its modern character. Two darts vertical and horizontal at the back are beautiful refinements. Made of a pleasant cotton blend and in straight Olsen fit Henny this cardigan is a part for every day.